After a week with the Archos 101 XS I find myself rather fond of it. This is thanks mainly to the clever and well executed coverboard design and the keyboard which is impressive for something so thin and light. The tablet part won’t keep the engineers at Asus awake at night, but remember for the price of a Transformer Pad, you can buy an Archos 101 XS and two-thirds of an 8GB Nexus 7. The Archos 101 XS is a tricky tablet to assess then. On the one hand the screen isn't bright, the build is plasticky and the keyboard is poor. On the other, the price is reasonable, it's powerful and very light. Rather than a direct competitor to the Transformer Pad 300, then, it's best to view this tablet as a good quality budget 10.1incher, with the bonus of a free cover and keyboard. In that light, it isn't bad at all. There's no doubt that the 101 XS is Archos' best tablet to date and it's a decent attempt to undercut rivals, notably Asus Transformer Pad 300. It's £100 cheaper and the keyboard dock is far less fiddly. However, the dock was reliable only when on a desk in our tests, and other build quality issues surrounding the buttons and screen mean we can't recommend the 101 XS unequivocal. The Archos 101 XS offers good bang for the buck and does not sacrifice the look for the price.In fact, it is the most stylish 10-inch tablet under $400 we have seen. 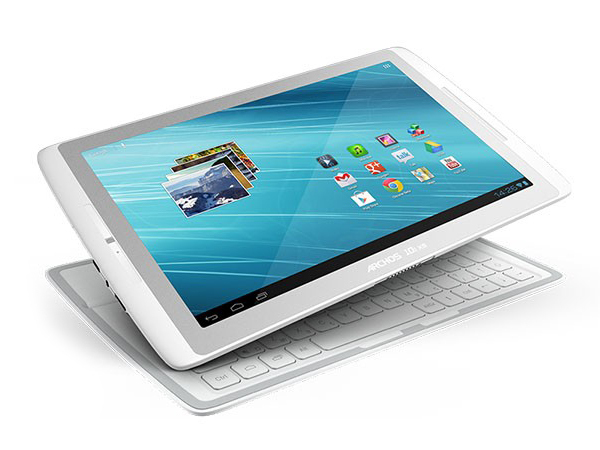 The tablet+keyboard combo offers one of the best solution for mobile productivity in an Android tablet. 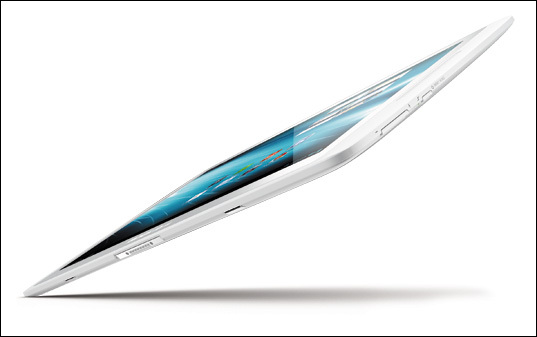 The Archos 101 XS is good for people who value productivity, like to travel light and in style — while saving money. 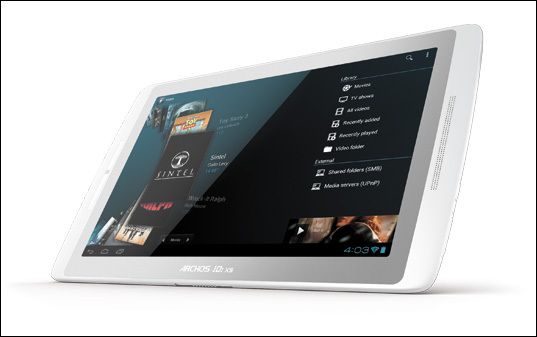 This device presents a rather interesting – and certainly unique – offering to the Android tablet universe. 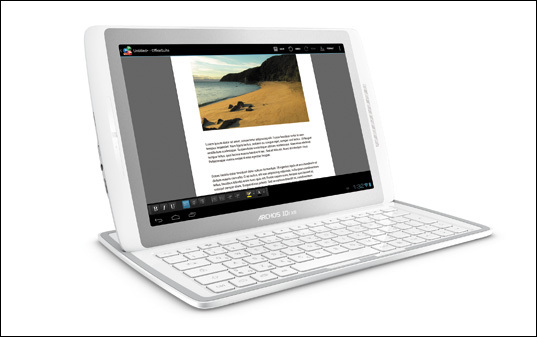 Compared to the ASUS Transformer Prime with keyboard dock, this device doesn’t quite seem as high quality a final product – but it’s a lot less expensive at the same time at $399, dock included. We’re also thinking about how this device is currently set for a November release: this doesn’t bode well for a tablet that’s already slightly behind the times for specifications when compared to devices such as the Samsung Galaxy Note 10.1, for example. 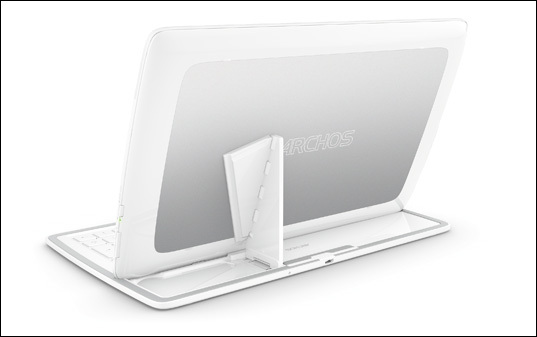 The Archos’ keyboard dock makes it great value, but the Coverboard won't provide particularly comfortable typing on the go. Its average screen counts also against it – and given that a screen is pretty much all there is to a tablet, that's enough to leave it lagging behind its rivals. PowerVR SGX544: OpenGL ES 2.0 compatible with 4 pixel and 2 vertex shaders These graphics cards are not suited for Windows 3D games. Office and Internet surfing however is possible. » Further information can be found in our Comparison of Mobile Graphics Cards and the corresponding Benchmark List. OMAP 4470: Two Cortex-A9 cores with NEON SIMD extensions» Further information can be found in our Comparison of Mobile Processsors.